EFL Cup 2018/19 - live stream, odds, results, stats and fixtures! 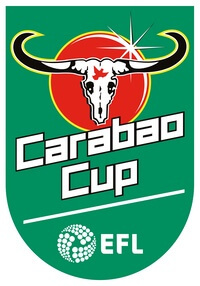 The EFL Cup, currently known as the Carabao Cup for sponsorship reasons, is an annual football tournament. The tournament is open for any team within the top four levels of the English football system. This includes the Premier League, the Championship, League One and League Two – 92 teams in total. Manchester City are defending champions for the 2018/19 season, after defeating Arsenal 3-0 in last year’s final. The win meant the club secured its fifth EFL Cup title. Looking at the winner odds from Unibet, Manchester City are favorites to win and defend their title to the odds of 7/4. Challenging them for the top spot of the winner odds list are Chelsea and Arsenal, to the odds of 5/2 and 6/1. Tottenham comes in fourth to the odds of 6/1 as well – so it’s an even race at the top of the list! Furthest down in the winner odds list as the EFL Cup 2018/19 goes into the quarter-final stage is Burton Albion – the only non-Premier League team left in the tournament. Here on Odds Expert, you’ll find the complete schedule for the EFL Cup 2018/19. Results from the tournament is of course also available. The 2018/19 season of the EFL Cup started with the first round on August 14th. The Premier League teams were involved in the third round, which started on September 24th. Quarter-finals are to be played on December 17th, between the 8 remaining clubs. The semi-finals will be settled in January, and then awaits the final on February 24th. Here at Odds Expert, we provide you with everything you need in order to successfully follow the tournament. With our odds comparison and the Bet Mate tool, you can easily find the best odds available online. On this page you’ll also find the complete schedule, results from previous rounds and matches as well as stats for the participating team. We will also let you know if any of the matches are being broadcasted on television or on live stream online!